Your first decision should be selecting one of the top UK universities that can provide a top degree if you’re considering a high-end career. Two things also to be considered here, such as “Which universities should you apply?” and “Which course or degree should you complete?” These mean that not only subjects but rankings matter in this concern. Moreover, apart from looking at rankings, some factors to consider. For example, the modules offered at that university, cost of living or renting a house in the decided area, and distance from home. If you’re looking for top universities in UK, we’re here to help you. 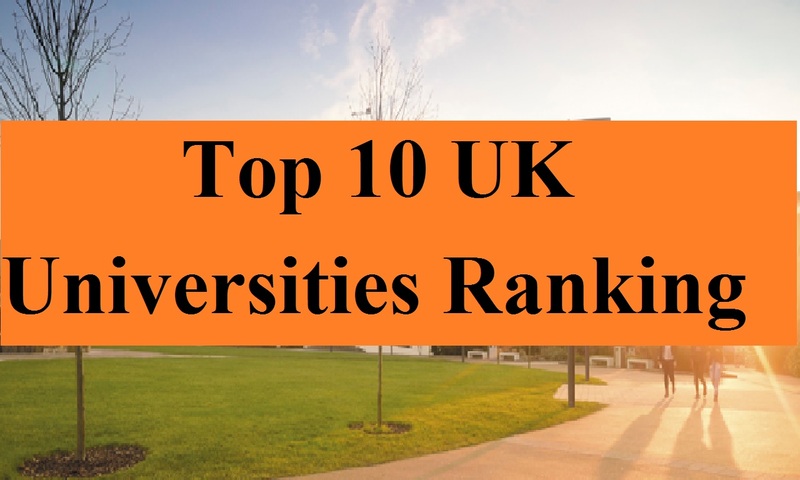 You’ll find here the latest, 2018, UK University ranking with top 10 UK universities with their brief reviews. In the run of the top UK university ranking, Loughborough University has secured the first place then University of Sheffield and University of Dundee is respectively second and third in their positions. Now, let’s know who others are on this list. It’s the Loughborough University and honestly, it has something form everybody. You’ll find there so many different paths you can take and so much to do. Although both Leicester and Nottingham are close by and easy to get to and the nightlife in Loughborough is personally more than enough, Loughborough may not be the place for you is if you want to be in the middle of a city. These all made it number one in the rankings of this year. University of Dundee (UOD) ensures every student gets the best out of their degree they can, which is a great thing about it. Helping with your degree as well as other areas are might need a bit of focus on, the university offers many subjects. Not only its degrees and top qualified teachers but there are so many things to make you amazed. For example, the student union is also amazing in the sense. This is because it provides everything in one place that you need. Because the campus is very central making, it’s easy to get to and from as well. As long as you have the grades, Oxford University is for everyone. This is the world famous university where you and many students from across the world dream to study. So, everything’s going to be fine and don’t panic. Actually, it’s going to be more than fine if you can study in this university with the required grades. If you compare to a national average, you’ll get 12% while a quarter of its student body identifies as an ethnic minority. The proportion is slowly rising because almost 60% of students are from state schools. It’s a lot of work if you’re going to Oxford University. Knowing which are worth your time is vital because you’re going to find yourself spending a lot of time in libraries. The University of St Andrews is a unique combination of local and global along with ancient and modern. It’s the third oldest university in the English-speaking world and one of the most popular in the UK, which was founded in 1413. As it’s a chilly dawn broke on among hundreds of students from the University of St. Andrews. It ends an eventful 24 hours with a jolt that’s plunged into the icy waters for the sake of tradition. You’ll get all type of facilities with a great study environment. There is the right balance of high-Tec modern buildings and old, classy ones in the University of Exeter. Because there are many of the other green places around campus, the gardens around Reed Hall are stunning. You’ll really get a feel for Exeter’s ‘bleed green’ culture along with the social scene is vibrant and diverse. Also, the campus is absolutely stunning and they have all the resources that they need in it. It comes with campus Wi-Fi, amazing people, lectures, course content and support, never a dull moment here. Because you didn’t make an effort to engage in the university even if there was that would be! Durham University is not only the best in the UK universities but in the world as well. It’s in some cases higher because of its high academics are on par with Oxbridge. You’ll get courses are top 3 in the world, which are above of Princeton, Yale, and Cambridge. Moreover, here is robes and have a castle, leading academics in the field. This makes you the feeling of the bright future. You’ll get just less elitism and snobbery because it’s a true British education and just as good as Oxbridge. The University of Leeds is the great university with talented staff, lectures, courses etc. Deploys it’s self-excellent at the way the university is organized. Also, the library is amazing and there is a great Wi-Fi throughout the university. You’ll only know your way to the SU, your lectures, some libraries and the food because of a big campus. You have the old, redbrick buildings to make you feel like you’re not a disappointment to your parents because it’s a nice campus with some green spaces. Not only the great SU but also there is a bank, bars, clubs, shop etc. Because Bangor University won national awards for them, it boasts an array of free sports clubs. Aiming to help all those that need it, they are in constant contact with prospective employers. The university has wonderful people, lectures, degrees, and support, not at all a boring moment. With teaching to suit all tastes, the course is varied and interesting.